The recipient of a decision made by a Finnish mission to refuse, to annul or to revoke a visa (otherwise than at the request of the visa holder), may request rectification of the decision from the mission. Instructions for a rectification request are appended to the decision. The rectification request must be lodged within 30 days of notice of the decision on the visa application. The rectification request must be made in writing in Finnish or Swedish. The rectification request is handled and a decision made by a Finnish diplomatic or consular mission. A decision of a Finnish diplomatic or consular mission on a rectification request may be appealed to the Helsinki Administrative Court. Instructions for appeal are appended to the decision on the rectification request. The appeal document must be lodged with the mission that made the decision. The mission submits all the appeal documents to the Helsinki Administrative Court. The appeal must be lodged within 30 days of notice of the decision on the rectification request. The appeal must be made in writing in Finnish or Swedish. The Administrative Court fee of the appellate proceedings is EUR 250. In visa matters relating to the free movement of EU citizens and their family members, the applicant may appeal to the Administrative Court without a rectification request procedure. To be entitled to a visa, you must live or reside legally in the country where you submit the application. If the conditions in your case are not fulfilled, the visa is refused. You will be notified about the refusal in writing. 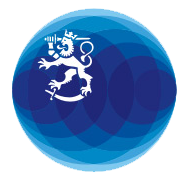 you may have an entry ban to Finland or to some other Schengen state or be considered to be a danger to a member state's public order, internal security or international relations. The visa that has already been granted to you will be annulled if the conditions for issuing it were not met at the time when it was issued. The visa that has already been granted to you will be revoked, if the conditions for issuing it are no longer met.